IAF Balakot Strike: The Indian Air Force destroyed the Jaish-e-Mohammed terrorist camp in Balakot in an early morning strike on Tuesday. IAF Balakot Strike: Indian Air Force struck the compound where Jaish-e-Mohammed terrorists trained. 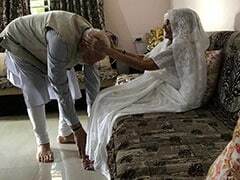 The biggest training camp of terror group Jaish-e-Mohammed that the Indian Air Force demolished in pre-dawn air strikes on Tuesday was spread over an area of around six acres at Balakot across the Line of Control and contained accommodation for over 600 people, large halls and dormitories. Government sources have released details and photos of the terror camp - located around 80 km from Pakistan Occupied Kashmir or PoK - that show it included facilities like a firing range, swimming pool and a gymnasium. The huge facility was located on a hilltop and hidden by thick forests. 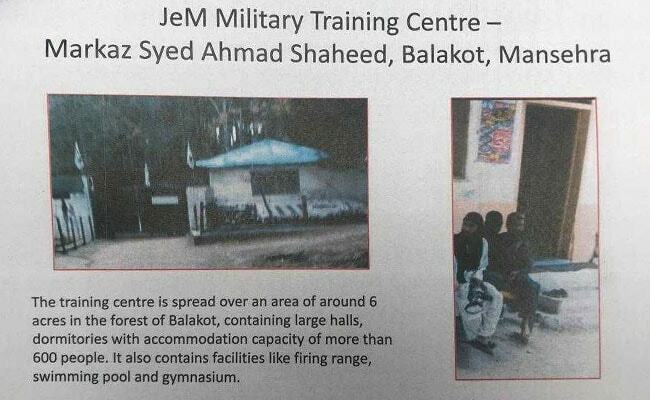 The Jaish-e-Mohammed camp in Balakot was a training centre for terrorists. The construction of this training centre had begun in 2003-04 and "Afghan war veterans, who fought against the USSR, were recruited as trainers to provide military training to youth of Pakistan," the text accompanying the photos reads. The pictures also show the main hall where Jaish-e-Mohammed terrorists were trained, decorated with flags and banners of the terror group. Jaish-e-Mohammed flags at the terrorist camp in Balakot. 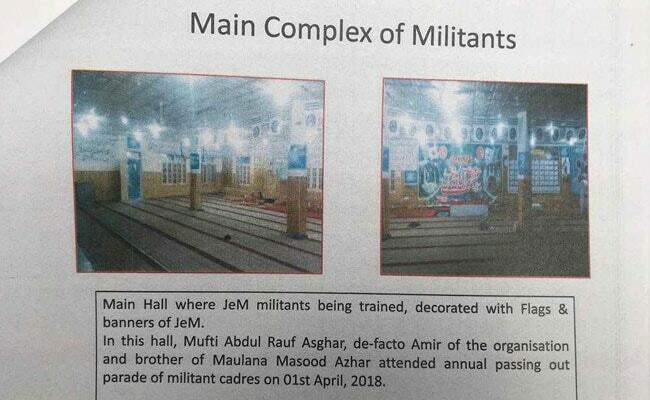 "In this hall, Mufti Abdul Rauf Asghar, de-factor Amir of the organization and brother of Maulana Masood Azhar attended annual passing out parade of militant cadres on 01st April, 2018" the text accompanying the photos says. The photos also show how a staircase was painted with flags of USA, UK and Israel to "develop feelings of hatred against enemy countries among militant cadres". 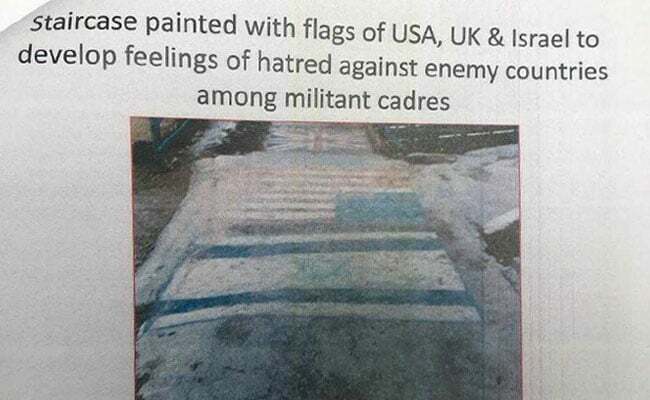 The Jaish-e-Mohammed camp in Balakot had flags of US and Israel painted on stairs. Sources say the training centre was being run under the direct supervision and protection of Pakistan's intelligence agency Inter-Services Intelligence or ISI and more than 250 terrorists were being trained at the complex. 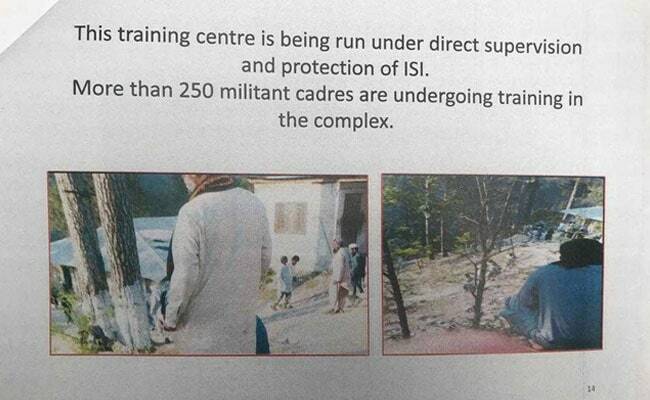 The ISI protected the Jaish-e-Mohammed camp in Balakot. Photos also show an ammunition dump where "200 AK rifles were uncountable rounds, hand grenades, explosives and detonators" were stored. 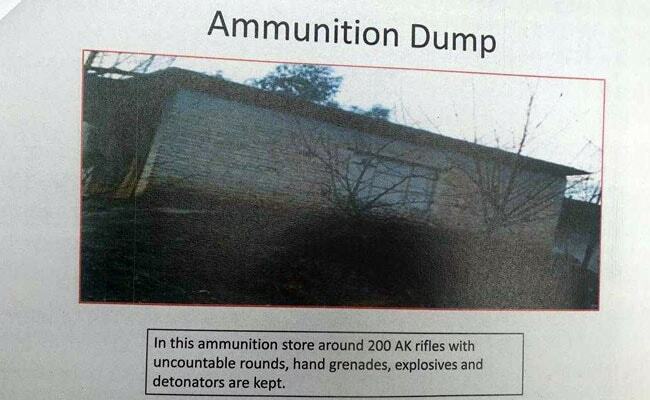 The ammunition storage at the Jaish-e-Mohammed camp in Balakot. 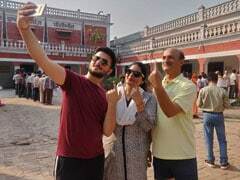 The facility was headed by Maulana Yousuf Azhar, or Ustaad Ghouri, the brother-in-law of Jaish-e-Mohammed chief Masood Azhar, who was killed in Tuesday's air strikes. 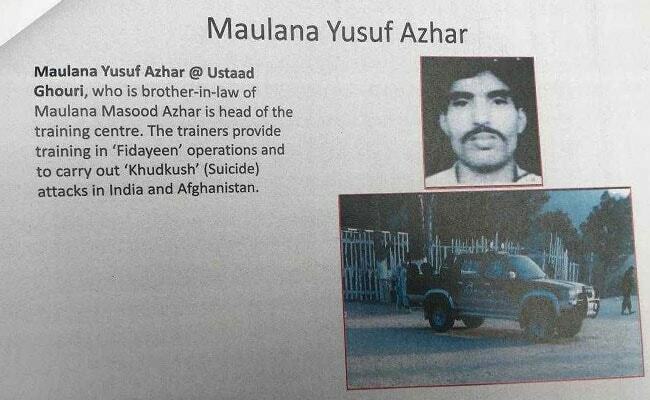 Photos released on Tuseday show the SUV that Maulana Yousuf Azhar used to travel in. The SUV that Maulana Yousuf Azhar used. The terrorists at the camp were given training in the use of advanced weapons, explosives and field tactics, strategy for attacks convoys, manufacture and planting of Improvised Explosive Devices, preparations for suicide bombing, rigging vehicles for suicide attacks and survival in high altitude and extreme-stress situations, sources said. Situated on Kunhar river, the camp also offered possibility of aquatic training to terrorists. Masood Azhar and other terrorist leaders used to come here to conduct religious indoctrination and ideological training of the recruits. India carried out "non-military, pre-emptive air strikes" at the biggest Jaish camp, saying the terror group was planning more attacks in the country after Pulwama, in which 40 CRPF jawans were killed two weeks ago. Twelve Indian Air Force Mirage 2000-5 IN fighter jets crossed the Line of Control around 3.30 am and dropped 1,000 kg laser-guided bombs on the targets.